San Francisco’s Dodos showed up with Neko Case on the Jimmy Fallon Show last night and played Don’t Try And Hide It . Check it out below courtesy of the Audio Perv. The guitar-attack starts at 3:13, and it’s a given that Neko’s vocals lift the song up. After, go pick up their recent, John Askew-produced album,”No Color” (to which Neko Case contributed). 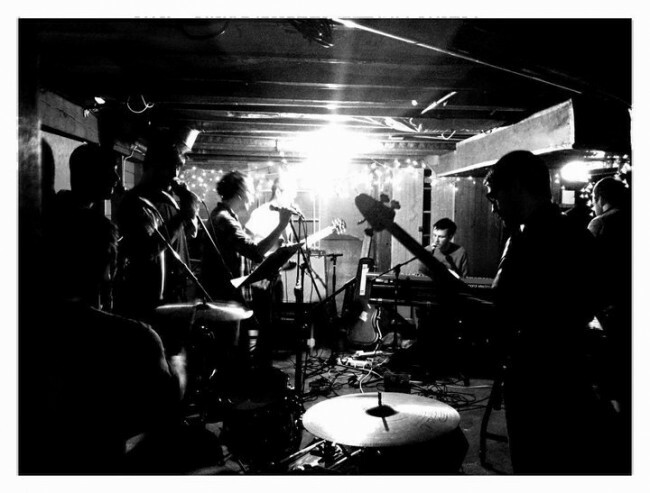 Go on over to the Dodos’ site HERE and pick up their album and a free, unreleased song (So Cold). She & Him performed The Christmas Waltz on Leno last night. Check it below courtesy of the Audio Perv and pick up their album, “A Very She & Him Christmas” at Amazon for $1.99. Jimmy Cliff performed two old chestnuts last night with the Roots on the Jimmy Fallon Show. Check out Cliff as he dives into The Harder They Come and World Upside Down below. Matthew Caw of Nada Surf performed solo on A Take Away Show in Paris last week for France’s Le Hiboo. Watch him perform When I Was Young at the always-captivating Musee Carnavalet. Nada Surf will release its next album, “The Stars Are Indifferent to Astronomy” in January. One of the highlights of our live music year was catching Elbow at this year’s Hardly Strictly Bluegrass Festival. Whether you were in San Francisco for that set or not, Elbow is streaming their live show this year at the Manchester Cathedral in its entirety. As you’ll see below, they opened with The Birds. Also included is one of our faves, Weather to Fly, which they unfortunately did not perform at Hardly Strictly. Check both out below and then go to Elbow’s site and stream the whole show. For No One has a great Girls’ performance of the band’s Love Like A River from their recently-released album, Father, Son, Holy Ghost. The album is on sale for $6.99 at Amazon, but the sale ends tomorrow (November 29th). And for you OC/LA denizens, Club Mercy is bringing Girls to Santa Ana’s Galaxy Theater next Wednesday, December 7th. Go there and see a great live band overflow its banks with musical love. They will be way, way better (and less viscous) than that reads. 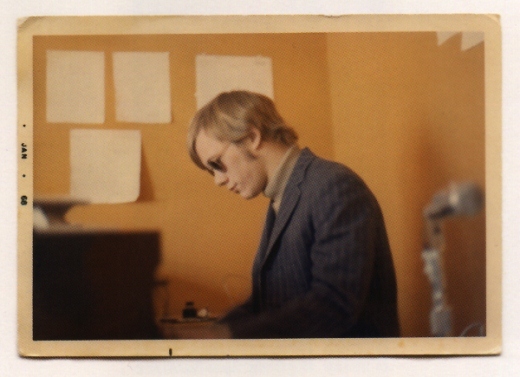 Captain’s Dead has posted a phenomenal live recording of Warren Zevon performing at The Record Plant (a recording studio back in the day–duh Captain!). Go over to Captain’s Dead and check it out. Zevon died in 2003 at the age of 56 and is still sorely missed. We have lavished praise on the newish, Northwest-borne genre of skip-the-barber-quartet Singalong Bands. Let’s call it Oregorian Chant in honor of Portland band, Typhoon and others. Or, perhaps, Doe-gorian Chant is a better moniker in honor of the annual Doe Bay Festival at which many of the genre’s progenitors seem to have been born (again)–The Head and the Heart, Hey Marseilles, The Lonely Forest, The Maldives, Bryan John Appleby, and other harmonious offerings. But we’re not sure how many of these fresh-faced folks the Everything-is-Free generation can/will ultimately support. So we were pleased to see Seattle band, Pickwick, performing at this year’s Doe Bay Festival. While they have the Singalong genre’s GUI, they manage to set themselves somewhat apart based in part on the powerful pipes (Buckley-esque) of leader Galen Disston and their dirtier R&B sound. Check out the band first on Orcas Island below. And then check ’em out in a basement, grinding it out. 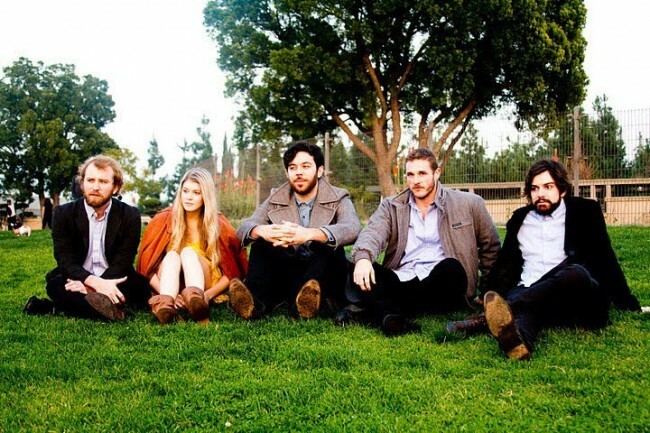 LA-based band Milo Greene recently graced the Lobero Theater as openers at the sold-out Civil Wars concert. Though we were elsewhere that evening, we have it on good authority that Milo Greene stole the show. Check out a couple-a-few compelling examples of the band performing live below.